How to have an ongoing and age-appropriate conversation with younger children about their bodies and consent. Talking about #MeToo and the events of this week with anyone can be emotionally grueling and deeply triggering (particularly if you have been a victim of sexual assault). But it can feel absolutely overwhelming, if not impossible, to do so with your young children. How and when should we have such difficult talks with our kids and how can they help make a difference? How you talk in your home about the #MeToo movement and current news events surrounding sexual misconduct allegations can lead a survivor in your own home to feel more safe about speaking up and getting help. Lakshmi’s repeated discussions with her daughter about her body and its boundaries is an effective tactic that all parents should consider. Children are taught to be polite and say “yes, please” and “thank you”; but they need to know they can and should say “no” when they don’t want to be affectionate. 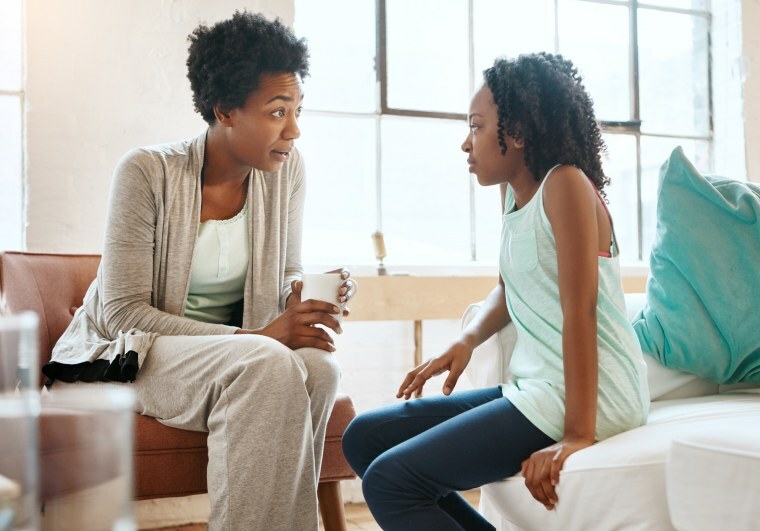 This is especially so with girls, points out Azizi Marshall, a licensed clinical professional counselor, drama therapist and founder/CEO of Center for Creative Arts Therapy, Artful Wellness & Psychology Arts. Respecting the power of no means enforcing it in your own home. too. You should also communicate early that if anyone touches or treats them in a way they find uncomfortable, based on the boundaries you’ve established with them, that they can come to you to talk about it, and that they will be heard without judgment, even if the person mistreating them is a family member. Even if your child is too young to be in a relationship, they need to know what a healthy one looks like. Nearly one in 10 women has been raped by an intimate partner in her lifetime. Being a single parent doesn’t disqualify you from doing this. Quentin Vennie, a public speaker, author, father of two young sons and an active member of non-profits such as Bent On Learning, Campaign for Black Male Achievement and Lineage Project has come to realize, through coping with his own history of sexual abuse and the oppressive silence he endured, that dads need to be open and honest with their children. This is something that can be challenging for dads when their kids “see them as superman” as Vennie notes his children do. Vennie chose to disclose pieces of his story of sexual trauma to his children (aged nine and 12) and found that his sons have become more sensitive and respectful of others since. If these conversations are too upsetting to you for whatever reason, hand it over to another trusted adult in your life.